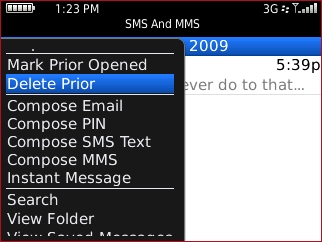 Select a messaging application (e.g. 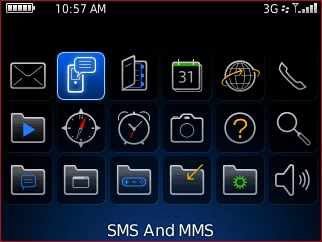 Messages, SMS and MMS, etc.). 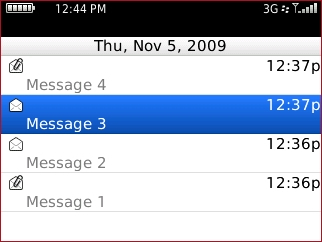 From the Home screen All tray, select a messaging application (e.g. Messages, Text Messages, etc.). 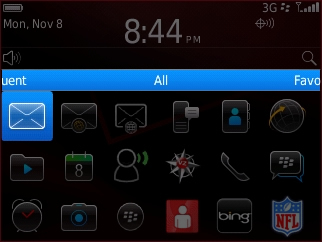 Highlight a message then press the Menu button. Highlight the first message to delete. Press and hold the Shift key (located below the z key) then scroll up / down using the trackpad to highlight additional messages. 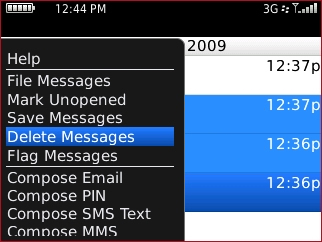 Press the Menu button then select Delete Messages. 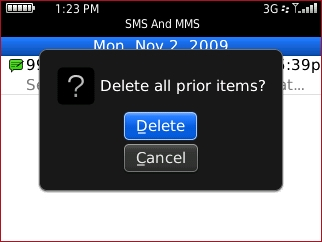 The Delete Prior option removes all messages prior to and including the date selected. Highlight the appropriate date then press the Menu button.